January 2015 | Adventure is out there! I've been loving juices and smoothies for years, simply because it's easy, healthy, quick, and tastes great. So this one came up a couple of weeks ago, I needed post-workout refreshment and I just remembered that I still had one frozen pineapple in the fridge. 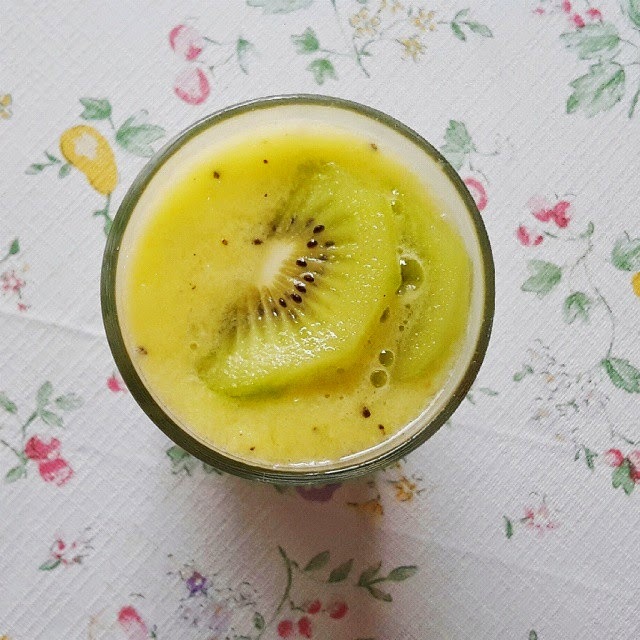 This recipe is really simple, refreshing and good for your skin and body! They are just a few of the goodness of these ingredients so yes, let's go grab a blender, put them in, and give it a try!